Sylvie Lacroix lives in Vienna as a freelance flautist, performing principally as a soloist and chamber musician. 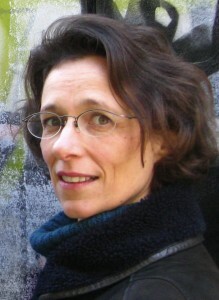 The focus of her work lies in contemporary music; in this context, she regularly cooperates with composers, frequently giving premieres of their new pieces . Several years ago, she began to work on compositions of her own, writing a number of chamber music for several instrumental combinations, some of them with electronics. An accomplished transverse flute player as well, she was playing with Concentus Musicus under Nikolaus Harnoncourt (1985-1991), in the Summer 2005 at the Salzburger Festspielen Produktion of Mozarts „Mitridate“ with Marc Minkovski´s „les musiciens du louvre“, 2009 Wiener Festwochen “Ensemble Mattäus” Jean Christophe Spinozi. She is actually member of “il concerto viennese” and performed with this ensemble J.S Bach ´s music for solo flute at the festival Styriarte.